Eric Bauer was born in Eugene, Oregon. He received a B.S. in Mechanical Engineering from the University of Wisconsin — Madison and obtained a M.S. in Mechanical Engineering from Stanford University. Eric spent 15 years in engineering and business development in the San Francisco Bay Area, Los Angeles and Seattle. During this time, Eric recommitted his life to God and quickly became involved in lay ministry, working primarily with hurting youth and young adults. This continued for six years in the Seattle area and eventually led him to a career change. In 1995, Eric became a counselor and program developer at a private high school for troubled and special-needs youth from around the country. He then sought a leadership position in a ministry for the homeless and poor. 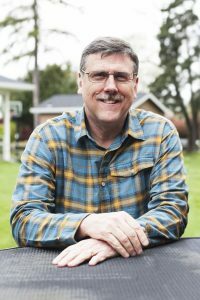 Eric served almost 10 years as the executive director of the Christian Aid Center in Walla Walla, Washington, where he spearheaded the revitalization of this community ministry. Eric is passionate about serving hurting and disenfranchised people as well as stirring the Church to fulfill its calling to serve “the least of these.” Eric returned to Oregon in the fall of 2006 to use his gifts in visionary leadership to renew Portland Rescue Mission’s Christ-centered commitment to give hope and restore life to men, women and children affected by homelessness and addiction.